Pohl’s goal is to create each piece with your individual fingerprint by our experienced staff. Beginning with the design to manufacturing process and lastly the installation of the project we will remain in contact with you every step of the way to maintain a level of confidence with each customer. Pohl’s goal of individual interaction is how we fulfill your dream while delivering a perfect balance of style, function, durability and budget. 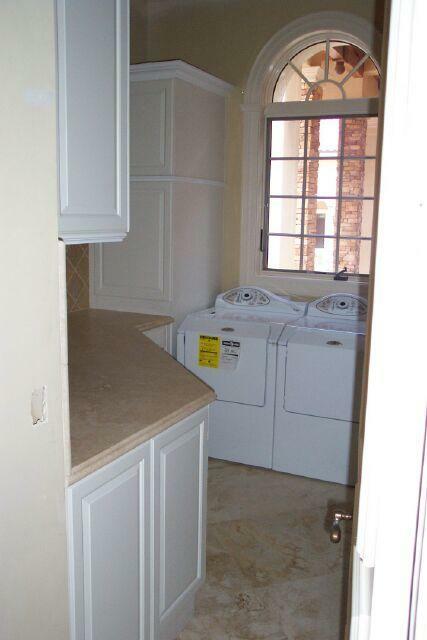 Laundry room cabinetry can be difficult to decide on. 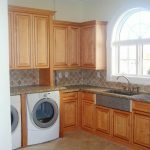 We offer real wood cabinetry for your laundry room that will last a lifetime. Many colors to choose from in your laundry cabinetry approx over 50 colors. We also offer custom matched colors and glazes. 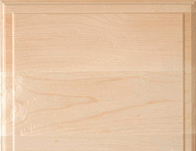 We recommend using a painted finish with all plywood and hardwood boxes. Particle board will not last in this environment a lifetime. Please come see us for the cabinetry that will increase your investment. We will design a custom space for you that is functional and beautiful. 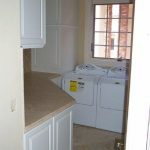 Nowhere else in Naples, FL will you get such exquisite offer of semi-custom laundry room cabinets made at the most reasonable rates and catered to suit your design tastes! 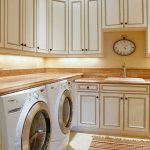 Kitchen & Bath Cabinets By Pohl provides real wood cabinets for your laundry room, available in a host of designs, styles, and colors. 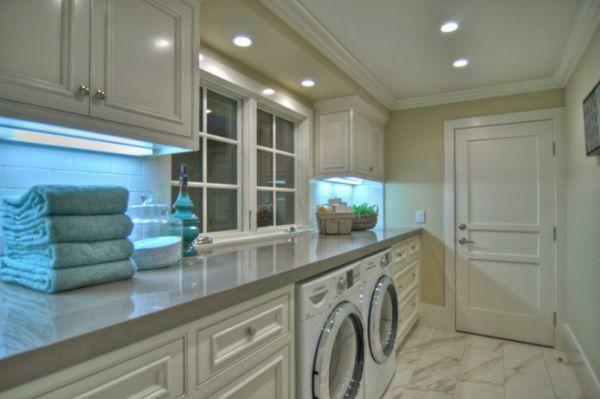 Keeping in mind functionality, we incorporate your personal sense of style to the interior décor of your laundry room. 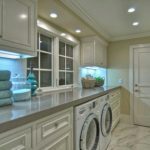 Our laundry room cabinet manufacturers tweak and customize the design until you are fully satisfied with the product. 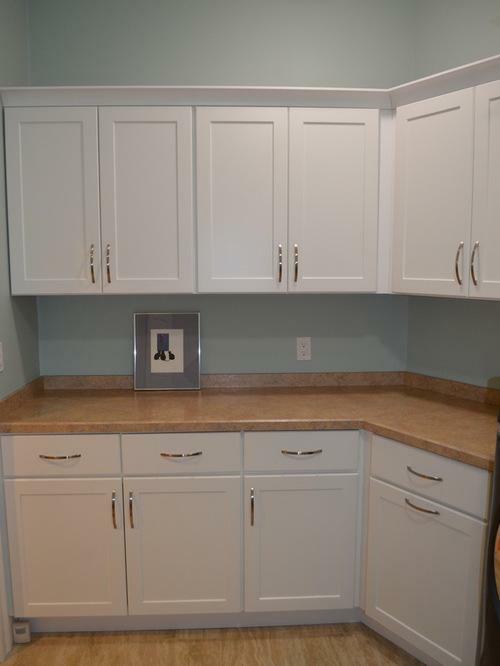 The custom cabinets include options from Cabico and Eurocraft, credible names in the trade of cabinetry. 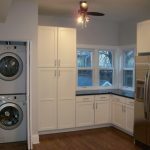 From Red Birch to Hickory, you can get any type of hardwood cabinet fitted into your laundry room. 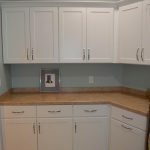 They can be single piece cabinets with solid slab doors, or five piece cabinet doors made from highly refined solid wood. 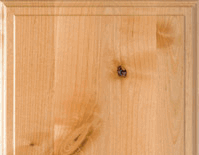 The quality of the lumber is unparalleled, of that you can be assured! We work to provide you with a finished product that you are satisfied with. That’s why our laundry room cabinet makers work alongside you every step of the process. 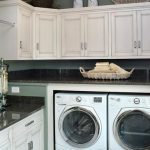 This way, we gain valuable feedback and insight into what you want out of the final design so that we can satisfactorily incorporate the personal touch of each client into our laundry cabinetry work. We check in periodically to see if we are doing the right job for you – the confidence a customer has in us is important to us, and we love to not only live up to expectations, but to exceed them altogether! 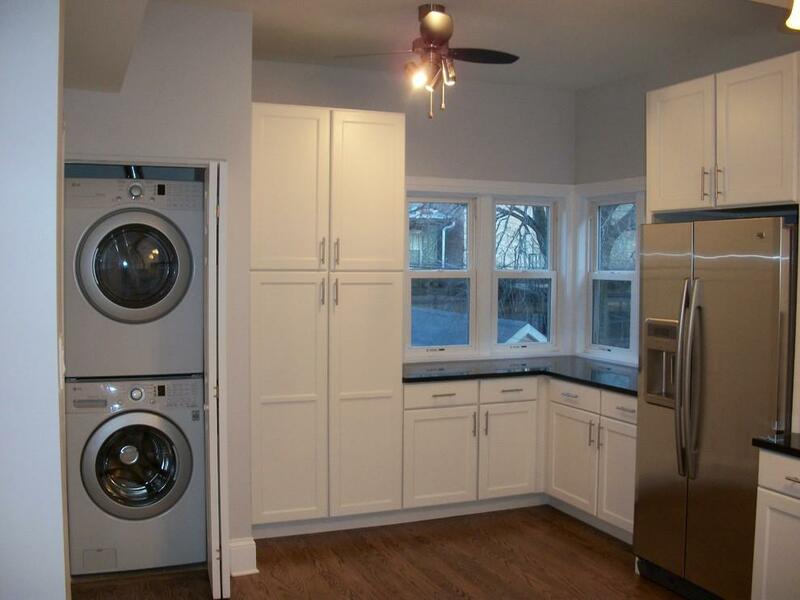 Every time you walk into the laundry room, we want you to come away from it feeling like your money was well-spent. 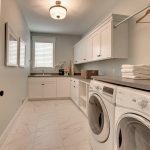 If you’re considering that it’s time to mix things up a bit and make some changes to your laundry room cabinetry, then get in touch with us! 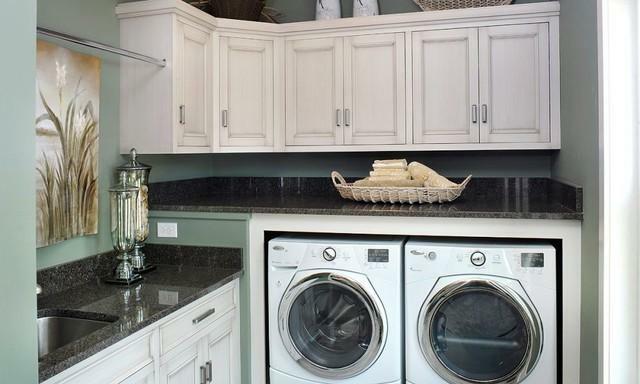 Visit our showroom or call us at 239-643-5661 to get a consultation to discuss your laundry room design options. 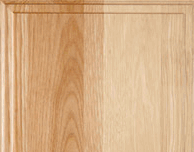 Semi-Custom Kitchen Cabinets, in many painted and stained variations by Cabico and Eurocraft. The 1-piece and slab doors are manufactured using a single flat piece of wood(high pressure laminate,melamine solid or veneered wood) which can be finished in various ways -from stain to high-gloss color.1-piece and slabs door are mainly used in contemporary design. 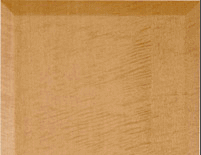 Five piece doors are made with styles and rails set up in sharper with solid/or mdf center panel.Center panel can be recessed panel,raised panel,reverse raises panel depending on customer section.These are two different types of five piece doors.
. Miters doors is cut on a 45 degree in corners. This is not used much due to humidity in Florida.
. Mortise and tenon doors is the second, which is cut and assembled at 90 degree. All depends on the customers selection and final look ,five piece doors can be made to look detailed and refined or not .Optional selections and applied moldings and finishes/techniques can change the complete look of each door. Cabico and Pohl offers certain differences,like mullion dollars with standard or custom glass panels . Also doors With standard or custom glass panels.Also doors with aluminum anodized frames and glass centers. 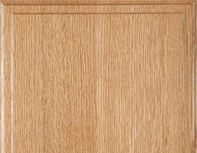 Cabico’s Quality cabinetmaker know wood like no other.They are professional in the industry.With an eye for Consistant color ,grain,many other features, they select only the most perfect furniture grade wood from the most reputable source and North American suppliers of lumber. There are so many species to choose from. 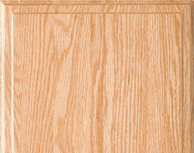 Cabico gives the customers free reign to decide on any customization you want .The product we offer run the gamut from awesome choices like bamboo or old world traditional classic wood and styles .These reflects the taste and selections of consumers from many places all over the world. 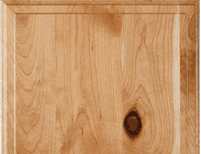 Standard cherry with light spots, dark spots,knots,worm holes spots,splits,cracks, and splits these aspect are left in the wood to impart a rustic look. 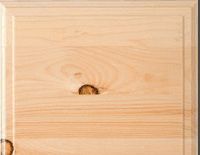 Many Hardwood with color variation,pin holes ,mineral streak,and pitch pockets.The selection are more noticeable in natural or lighter colors/ strain.When exposed to sunlight/natural light, Cherry can darken or tan a lot over time. 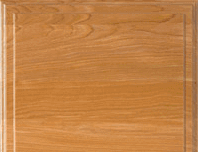 The strongest hardwood in our lineup.Its unique and distinctive pain pattern varies from straight to arched and pointed. 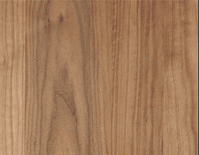 A very ,strong hardwood,with pronounced variation in the grain pattern and color which can run from white to dark brown .Random specks,mineral streak and knots are common.knots are stabilized in production. 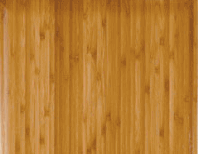 A heavy ,strong hardwood resistant to shocks,with a closed,uniform grains .This light-colored wood may darken slightly over time. 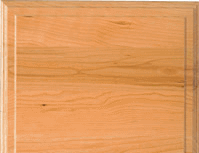 A very soft hardwood.Its rustic look comes from the fine grain with knot,light and dark spots ,worm holes and splits throughout each piece. Appreciated for its clean airy look and valued as a sustainable, environmentally friendly hardwood , Cabico bamboo comes in light caramel shade due to a special heating process. 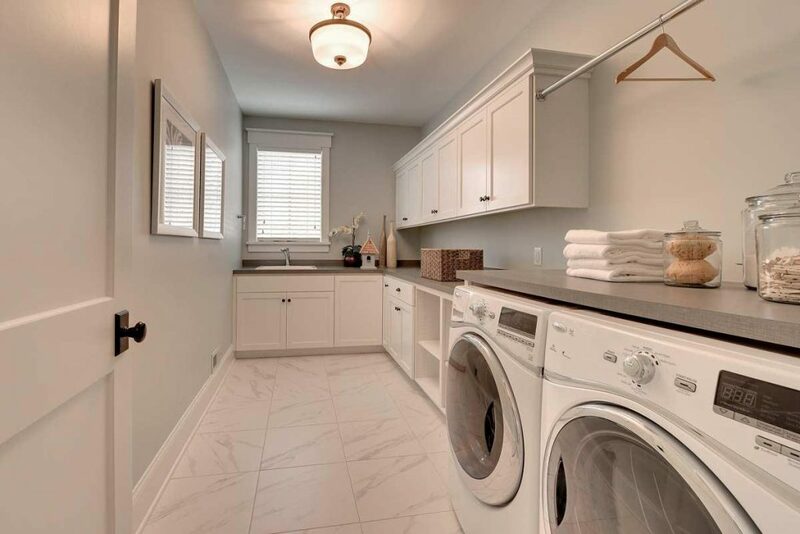 Laundry Rooms Designed to work in, relieve the stress of an active family. Call us now! 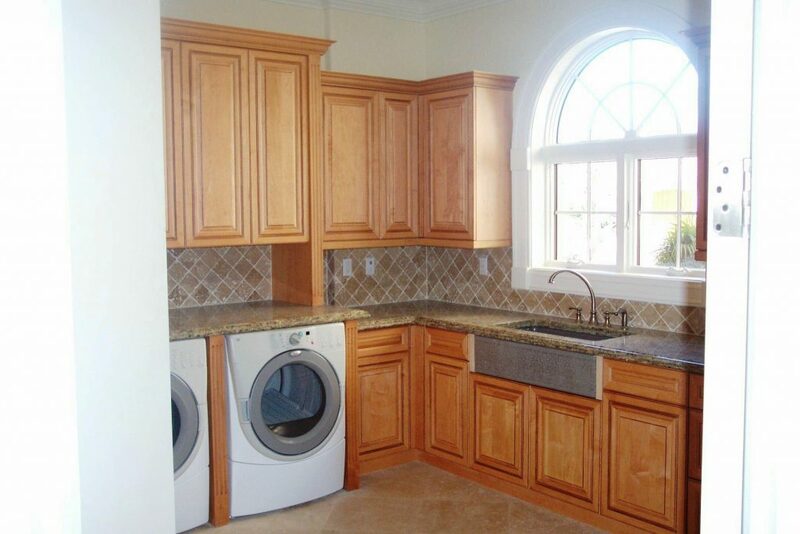 Pohl custom cabinets, 239-643-5661.